It can happen to even the most experienced of computer users. You go to use your computer and your laptop display won’t turn on. If this is happening to you, there are a few troubleshooting steps you can try to hopefully fix the problem. Although this seems like common sense, it is surprising how often a dead battery is the cause of our trouble. Check your battery to see if it has or will hold a charge. Ensure that the plug connects properly to your laptop. If your laptop was in hibernation mode, you may need to press the power button to wake it up. This is another common trick to try to fix the display. Restarting your laptop will reload drivers and other processes that control the display. Restarting often fixes the display issue. However, if it continues to persist, chances are you may need to reinstall your operating system. When you close the lid to your laptop, there is usually a button that sends the laptop into stand-by mode. Sometimes this button can become stuck. If you can locate this button and release it, the display may begin to work. These are only a few of the most common troubleshooting methods for a nonfunctioning display. Other issues may include video card trouble, BIOS issues, or more. Worse case scenario, your display is actually broken and you will need the help of a computer repair specialist to diagnose the problem. Contact us today if you need help with your PC or Mac issues. 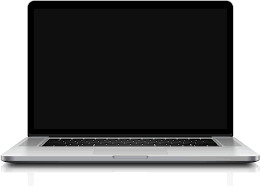 We are laptop repair specialists serving Collin County and beyond.